Pedestrian accidents have the potential to be the deadliest of all accidents on our nation’s roadways. This is particularly true in the state of Florida, where we experience a higher-than-average number of pedestrian fatalities each year compared to the rest of the country. According to the Florida Pedestrian and Bicycle Strategic Safety Plan prepared by The Center for Urban Transportation Research in 2013, Florida had the highest pedestrian fatality rate among all states in 2011, at a rate of 2.60 pedestrian deaths per 100,000 people. This represented 11 percent of all pedestrian fatalities in the United States that year. Although Florida’s traffic laws tend to favor pedestrians, giving them the right of way on marked crosswalks, this does not shield pedestrians from inattentive or downright reckless motorists. 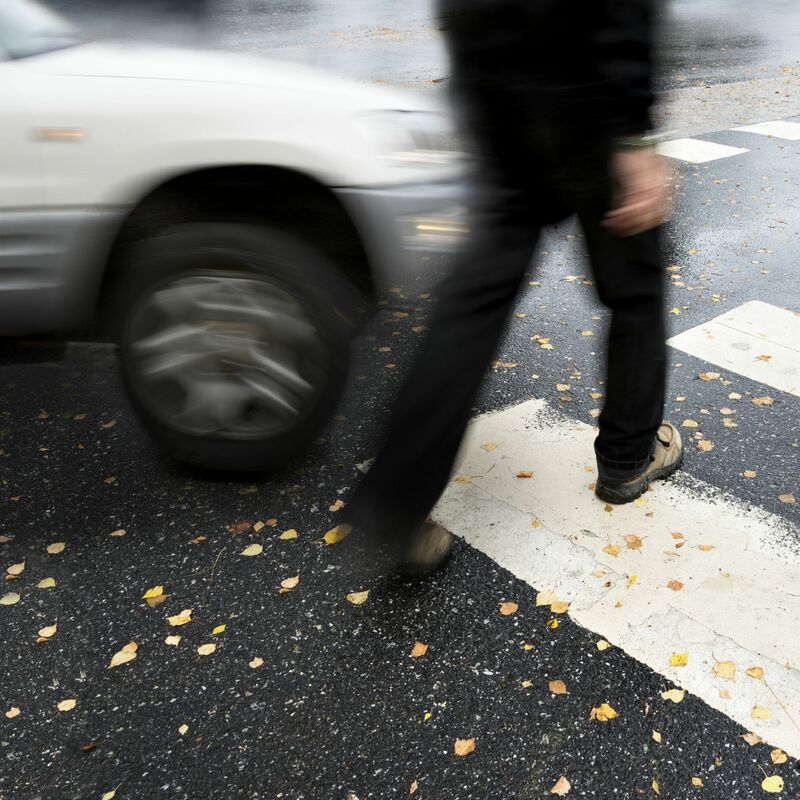 Even those pedestrians who are hit by motor vehicles while stepping into a crosswalk in violation of traffic laws may be entitled to some measure of compensation if the motorist in question was more than 50 percent at fault for the accident. The important thing to remember is that pedestrians have rights and operators of motor vehicles can and should be held accountable for their negligence when they injure pedestrians in crosswalks through their reckless driving. When it comes to handling cases involving pedestrian accidents and crosswalks, Daytona Beach, FL personal injury attorney Joe Horrox has the skills, experience, and resources that injured victims and their families need in their corners. If you or a member of your family has been injured by a motor vehicle while using a crosswalk, or if you have lost a family member in such an accident, please arrange for a case review by contacting Joe Horrox Law today. What Are Florida’s Laws Regarding Crosswalks? In the state of Florida, pedestrians have the right of way on a marked crosswalk. Pedestrians include people traveling by foot, as well as those traveling by wheelchair, rolling skates, or skateboards. They do not include people traveling by bicycle. Pedestrians are obligated to obey traffic signals. Therefore, if pedestrian traffic at a crosswalk is regulated by a traffic signal, right of way shall only be granted when the pedestrian has a green light. Pedestrians may not enter the crosswalk when the pedestrian light is flashing red or solid red. Although pedestrians are granted right of way at a crosswalk, they are obligated to look for oncoming traffic before entering the crosswalk. They must look left, right, and left again, even at a crosswalk with a traffic light, before entering the crosswalk. Likewise, it is the responsibility of motorists to confirm that there are no pedestrians using a crosswalk even though they may have a green light. Vigilance on the part of both motorists and pedestrians can help to ensure the safety of both. The best way to ensure that it is safe to use a crosswalk is to make eye contact with the driver of a stopped vehicle before crossing the street. To arrange for an evaluation of your pedestrian accident case, please contact Joe Horrox Law today.